This site, by its very nature, is a book recommendation site. I like talking about books I've enjoyed. But I'm also listening and taking suggestions from you all and here are some that have been recommended to me through the book blogging world (and otherwise) that I have been incredibly grateful to have read. The Unexpected Mrs. Pollifax is another delightful recommendation by my friend Sky (who knows a good mystery when she finds one!) If you are looking for some fun summer reading, look no further! I've linked to a brief mention I made of the series sometime back and my post includes all of the titles in the series so that you know where to head for a good time. Mrs. Pollifax is a grandmother who decides she needs to spice up her life and so she volunteers to work for the CIA. That's definitely spicy! She gets into a good number of adventures and scrapes and I have thoroughly enjoyed each Pollifax title that I've picked up. Again, thanks to Sky for the good reads! Lastly, I must conclude with a suggestion that Jonathan made to me when we were married. He read quite a few books when he was growing up by Patrick McManus, who is an outdoor humorist. Now, I know you may be thinking, "Outdoor humorist, eh?" But before you allow that doubtful thought in, I beg you to consider McManus for a good laugh. I asked Jonathan to write up a post about Patrick McManus some time back and I've re-linked his name to the review. So many fun titles to choose from and each are great! I'm not an outdoorsy kind of girl but McManus really tickles my funny bone. He is to the outdoors what Erma Bombeck is to the home and family if that gives you a clue. Definitely recommend him. And with that - I shall conclude my list. I know you've probably had a slew of good reads thrown your direction but do any of them in particular stand out to you as being so good you have turned around and recommended them to others? Do share! And continue to enjoy, of course! You've mentioned Wodehouse a lot...I need to read some. Thanks for sharing...I will be holding onto this post for further examination, esp at the library! I read Redeeming Love years ago and one Wodehouse book, but I don't think I've read any of the others. 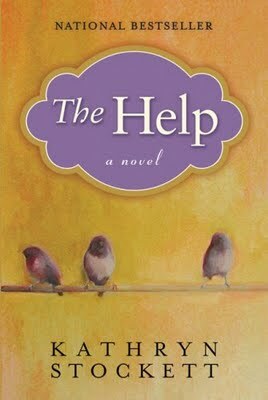 I've seen The Help recommended all over, too, and the one Lisa recommended looks good as well. Aw, what a fun post! Thanks for the link, and I can't wait to read your thoughts in Unbroken! Wodehouse is officially on my TBR list. Do you have a favorite title or titles? I read your review at the link you gave. Were those two favorites? Redeeming Love and The Help are both aaaaaaaamazing books. I love them both so much. This is a great list. I'm still searching for more van reid books myself. I am always glad to share my love of books with a fellow booklover! Fun post! I too loved The Help. loved "The Help". Great picture of the South, and discussion of the complicated relationship between the "mistresses" and their servants. 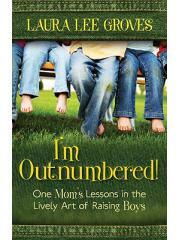 I had forgotten about I'm Outnumbered. Now it needs to go back toward the top of my list. :) I think both of my sister in laws would appreciate reading it, too. We are so different in our reading styles in some ways! I clicked over to read your reviews of Redeeming Love and from there to Journey to the Well. These have actually been some of my all time favorite books (ones that I choose to keep after reviewing, well, not Redeeming Love, that's too old!). I think the reason I like them so much is because they help bring to life the stories from the Bible for me. I remember studying John in depth and the woman at the well, but after reading this book it really occurred to me that perhaps she wasn't an outcast entirely because of her sin and perhaps it wasn't something she willfully chose to begin with. In some ways that makes it so much more relatable to me because while I do sin many times I somehow feel like I didn't intend to. It's a product of making the poor choice in a bad situation rather than going out and deliberately choosing to be disobedient. Perhaps I'm splitting hairs, but I really do like the way it helps these stories stick in my mind. Another one I've read recently is Pearl in the Sand and it's the story of Rahab. I thought it was very well done. Oh, and Patrick McManus is awesome! There's a guy from Spokane who does a one man comedy show based on these books. He's soooo funny! My parents have been to 3 or 4 of his shows. His name is Tim something... you should see him if he's ever there in town! Krista - YES! We saw that one-man show when he came through town several years ago. REALLY funny and well-done. We'd love it if he came back sometime! 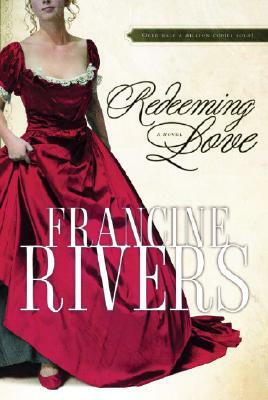 My mom bought me Redeeming Love not too long ago...have heard recommendations from MANY...hope to get to it someday! I have two books that are amazing! I really lost myself in Melinda Elmore's e-book, NATIVE SPIRIT. Her book showed how proud the American Indians truly are. They show honor and respect for all living things. Melinda incorporated outstanding knowledge about the American Indian. 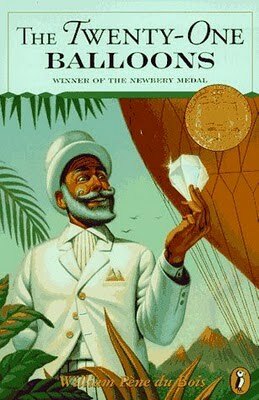 I first noticed the amazing cover showing a dream-catcher and a soaring eagle, which peaked my desire to read this e-book. From the first page, I was in awe of the heroine, Half Moon. This young maiden was captured by a ruthless white man, Seth and his band of outlaws, while her beloved one, White Hawk, was on a buffalo hunt with his warriors. Through this ordeal, Half Moon showed the wisdom and courage born inside her. She makes a deal with Seth to let some of the other captured villagers go, and she would go to his ranch with him and become his wife. When White Hawk returned to the village and learned about the kidnapping of Half Moon, he vowed to rescue Half Moon and seek revenge against the white man who took her. The story unfolds with very descriptive scenes that I could visualize as if I were there with both Half Moon and White Hawk as they dreamed of being together again. Will this happen? There are many twists and turns that kept me spell-bound. Would White Hawk rescue Half Moon and let no harm come to her? Here's an excerpt that White Hawk prayed: "Creator, I know this journey will have many paths that I must choose from. I pray that you will allow me to make the right decisions. I know I ask a lot from you, but my heart is good and honest. I would never harm anyone, but the path I must walk has been determined, which leaves me no choice." Can he stay focused and do what his heart tells him and stay on the right path? Reading Native Spirit is the only way a reader can find out the answers.I will be reading more of her writings! Mary Manners has written an amazing Christian book, TENDER MERCIES, a captivating love story between Cooper, an NFL quaterback who sustains a knee injury, and Lexi, a woman with a jilted heart that raises her abandoned pre-teen nephew and organizes an online auction to raise funds for a down and in trouble youth center. Cooper and Lexi were high school sweethearts, who have a heart-breaking split. When Cooper returns home to recuparate after a knee injury, the former sweethearts see each other which brings back old hurts. Lexi's secret keeps the couple in turmoil. With a tear-jearing ending, the book has me intrigued until the last page. I highly recommend TENDER MERCIES and will be reading Mary Manner's books from now on. Oh, fun! I love posts like this. I've read about half of the books on your list, but there are still some here for me to check out. I recently read the second Flavia book and just the other day picked up the third -- I share them with my mom and some friends so those books end up very well-read! I have heard that Redeeming Love is good also. I'm in the middle of reading your review since all I've heard is that "it's based on Hosea," which left me wondering. I think I'll make some time to read it in the next few days. What a great list! Redeeming Love is one of my favorite books, and I've recommended The Help to all my reading friends. Unbroken is the best book I've read in 2011 - I hope you enjoy it! Hmmm, what would I recommend to you now. "Prayers for Sale" by Sandra Dallas is one of my newer favorites. "Tallgrass" by her is also really good. "The Silent Gift" by Michael Landon Jr. is a really amazing story that I could not put down. "The Moment Between" by Nicole Baart is absolutely emotional and gripping. I think I better stop now. LOL. 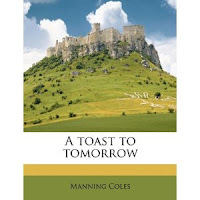 You can find the reviews I did for those on my book blog under 2010 reviews. ANOTHER person read and loved MBS at my recommendation, so through me you've now introduced 4 people to the series (that I know of)! I almost didn't want to read this post, as I know I'll add at least one book to my TBR list! 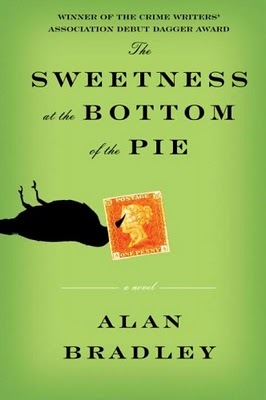 I think I made it through, though it reminded me that I still need to read Sweetness at the Bottom of the Pie and The Unexpected Mrs. Pollifax. I missed this post (and it was near the end of school when my life was crazy). Here it is, summer, and I'm cruising around your blog and I found this.